In-depth: Who is eligible for the new reservation quota for general category? Though the move is aimed at benefiting the poorer segments of upper caste Hindus as well as other religions, the suggested eligibility criteria covers over 80% of India's population. 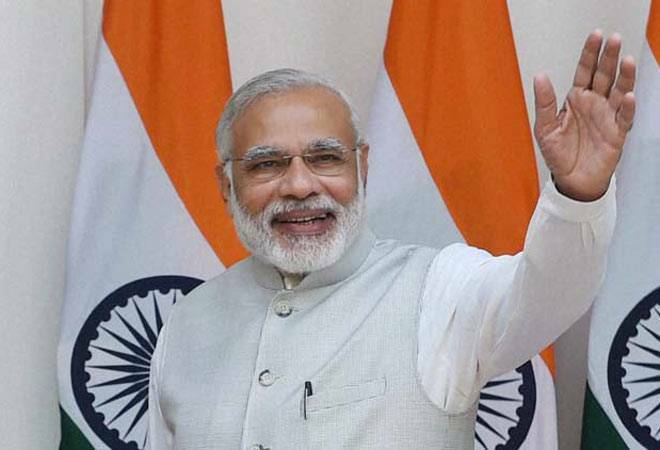 With four months to go for the General Elections and in the face of reality checks in the Rajasthan, Madhya Pradesh and Chhattisgarh polls, the Union Cabinet yesterday cleared a proposal to grant 10% quota in government jobs and education for "economically weaker" sections. This is over and above the existing 50% quota for the Scheduled Castes (SCs), Scheduled Tribes (STs) and the Other Backward Classes (OBCs), and the proposal will take the total reservation to 60% if passed. The Modi government has tabled the bill in Parliament today, supposed to be the last day of the winter session. Union Minister Thawar Chand Gehlot introduced the Bill in the House amid protests by Samajwadi Party. Sources told India Today that the government on Monday extended the Rajya Sabha proceedings by a day till January 9 to enable the House to take up the proposed legislation. Since the Constitution has no mention of "economically weaker" people, the proposed quota for this category will require an amendment and at least two-thirds of the members in both the Houses will need to support the bill for it become a law. So who stands to benefit from the move? While the fine print of the bill is yet to be divulged, the move is expected to benefit the poorer segments of upper caste Hindus as well as other religions. In fact, this is the first time that the country has considered non-caste, non-religion based reservation. Among the major Hindu castes to benefit from the proposed law are Brahmins, Rajputs (Thakurs), Jats, Marathas, Bhumihars, Vaishyas (trading castes) along with Patidars or Patels, Gujjars, Kappus and Kammas, depending on which caste group is listed in a state under which category. What are the proposed eligibility criteria for this new quota? Since the proposed reservation is geared for economically-deprived sections among general categories, the criteria for eligibility include family income and size of land holdings. So people who earn less than Rs 8 lakh annually will be eligible for the quota, as will those owning agricultural land below five acres. Ironically, nearly 100% of Indian households will be eligible beneficiaries under the above-mentioned income criterion as per government data. An annual income of Rs 8 lakh translates to Rs 66,666 per month. However, according to the 2011-12 NSSO report, Key Indicators of Household Consumer Expenditure, the per capita income of the top 5% of Indians stands at just Rs 4,481 in rural areas and Rs 10,281 in urban areas. 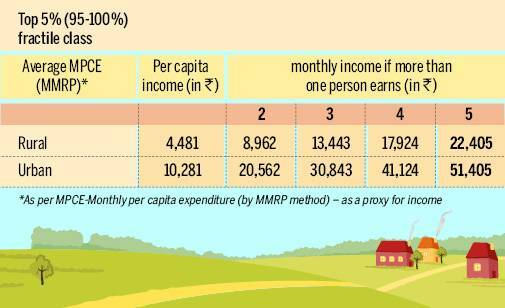 This means that even if a household boasts five earning members, the family's monthly income won't exceed Rs 51,405, which is much lower than the limit set under the new reservation norm. Moreover, the Socio-Economic Caste Census 2011 revealed that only 8.25% rural households have monthly income of more than Rs 10,000. 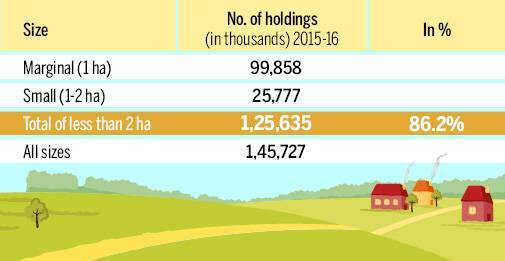 Similarly, according to Agriculture Census 2015-16, released in last September, a whopping 86% of land holdings in India are smaller than the prescribed limit of 5 acres and would be eligible for the proposed quota. People having a residential plot of more than 1,000 square feet, but that's probably less than 20% of the country's population. The 2012 NSSO report on housing conditions showed that the richest 20% of Indians lived in houses with an average floor area of only 500 sq ft. This is a significant point since the existing reservation system already covered a huge chunk of the population. The OBCs reportedly constitute around 45% of the population while SCs and STs account for another 23%. This means that only 27-37% of Indian citizens are currently excluded from the reservation net. Significantly, according to the UNDP, India still has the largest number of people living in multidimensional poverty at 364 million people, so if the new quota comes into play, a very miniscule chunk of India will be left unpandered. "At present, the economically weaker sections of citizens have largely remained excluded from attending the higher educational institutions and public employment on account of their financial incapacity to compete with the person who is economically more privileged," reads the Constitutional Amendment Bill number 124, adding that the benefits from the Constitution's articles discrimination and equal opportunity generally do not apply to them. Hence, the bill proposes to amend the Constitution to ensure that the poor "get a fair chance" in life. The past few years have seen influential castes like the Marathas, Rajputs and Jats hit the streets - sometimes protesting violently - seeking reservation benefits. Though governments in states have tried to pass laws to meet such demands in the past, they are often struck down by the courts on the grounds of the famous Indra Sawhney case, where the Supreme Court had set a cap of 50% on quotas. But in November, the BJP government in Maharashtra announced a 16% quota to the politically influential Marathas as a "social and educationally backward class". The ruling BJP party hopes that the bill will help consolidate the general castes in its support as it begins campaign for the Lok Sabha elections scheduled in April-May. Political watchers believe that sections of the upper castes had drifted from the party of late following its aggressive push to win over backward classes and Dalits.